U.K.-based Codemasters has become the latest game company to feel the wrath of the hacker, but it doesn't appear that any real damage was done in the attack. 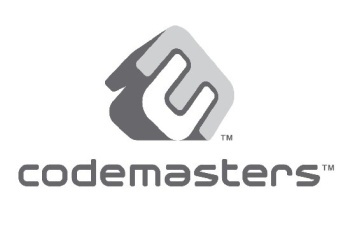 Codemasters, best known as the publisher of the Operation Flashpoint and Grid games, acknowledged to GamesIndustry that hackers were able to breach its security on May 20 and gain access to user data, which was then posted online. Fortunately, the stolen data was all encrypted and Codemasters was able to get on top of things quickly to ensure the situation didn't get out of hand. "We responded swiftly with a full investigation to isolate the issue, bringing down Codemasters.com for a few hours to ensure no access would be possible, and returned the website after a security hole was closed," the company said. "While some staff admin names were obtained, passwords were all encrypted." "Our online team take security of user data very seriously and we are reviewing all of our websites and systems to ensure we are as safe as possible, especially as many games companies have been popular targets for this sort of activity recently," it added. Props to Codemasters for slamming the door in a hurry but this attack clearly wasn't as serious as the one that brought down the PlayStation Network in April or even the defacement and user data theft that the Eidos and Deus Ex sites suffered earlier this month. It seems more akin to the recent attack against Sony BMG Greece, described as a hack that didn't require any particular skill to pull off. So what's the deal here: has hacking game companies become the internet equivalent of cow tipping?